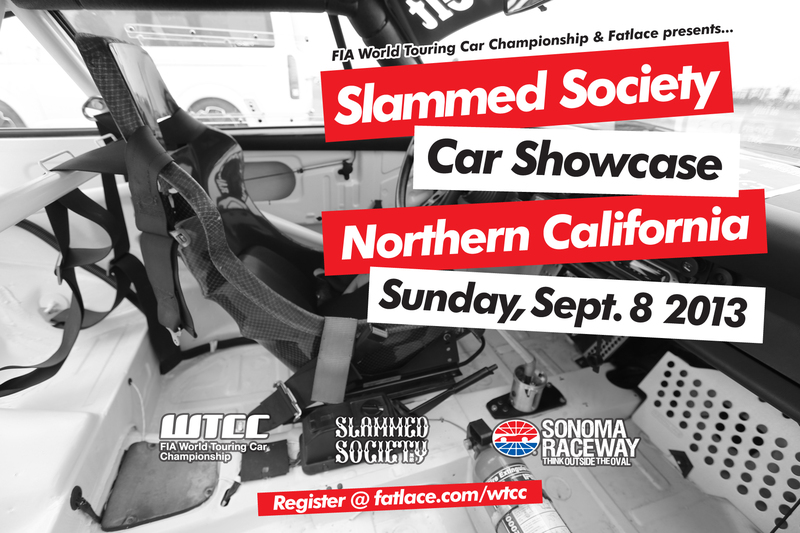 Slammed Society by Fatlace invites you to it’s ONLY stop in Northern California this 2013, to be held at Sonoma Raceway during FIA’s World Touring Car Championship 2013. There will be trophies and prizes given out during the event. Slammed, VIP, Race/Track, Classic/Muscle, Euro and JDM. ENTERED INTO THE GRAMLIGHTS GIVEAWAY!